Ideal for use as a disposable, mini lightweight cooler to transport and ship temperature-sensitive supplies! 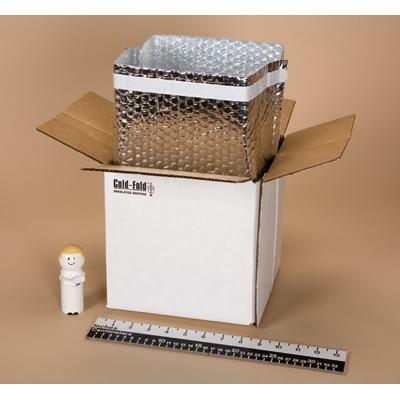 White cardboard box features a leak-resistant gusseted liner made from FDA-approved materials. Liner’s adhesive lip tape seals the contents for maximum protection. Boxes are shipped flat with instructions for assembly on the bottom of each box.